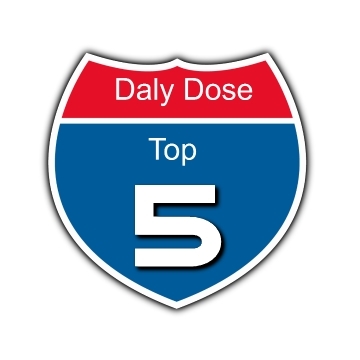 The Daly Dose Sports College Football Top 5 – Welcome to Daly Dose Sports- Your dose of sports and sarcasm. ← The Daly Dose Sports Podcast Episode 42! Who are the top 5 college football teams in the country? Don’t take the word of some coaches that have other things to do on Saturday The Daly Dose has you covered! Here are the Top 5 teams in college football today. The Buckeyes trounced poor Hawaii on Saturday. You won’t really need to watch this #1 column for a few weeks as the Buckeyes now play no one even remotely decent until October. The Spartans beat Oregon and jumped into our Top 5 this week…mostly as a big thank you for saving us from seeing the Ducks get thumped in another Championship game. The Horned Frogs finally showed some offense, granted it was against Stephen F Austin…but come on are they really that different from any other Big 12 defense? Alabama’s head coach Nick Saban appears to be very angry at only being ranked #4 in the Daly Dose Top 5. Or maybe that’s just how he always looks. The Bears knocked off a national doughnut chain last week but this week they will really get a test with the always dangerous Rice Owls. This entry was posted in College Football and tagged alabama crimson tide, baylor bears, college football, college football top 5, michigan state spartans, nick saban, ohio state buckeyes, tcu horned frogs. Bookmark the permalink.